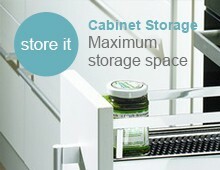 Not just stylish, this Oak plate stacker insert makes ideal use of a 800mm wide cabinet deep drawer, safely and securely storing your crockery. 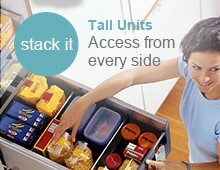 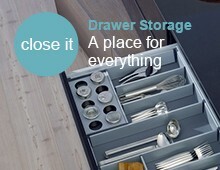 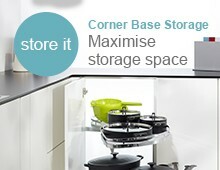 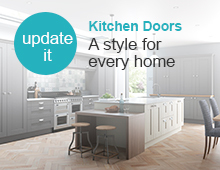 Alternatively why not use it to separate your pans and lids, stopping them moving and clanging when closing the drawer. 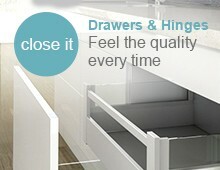 Designed for Hettich Inno-Tech drawers its available in two depths, dividers and pegs to be purchased separately to customise your drawer.